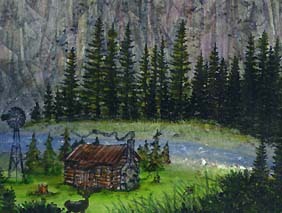 Images: Cabin scene by company unknown. Pine Row 150E, Buck 008A, & Tall Rock Lg. 080G by Stampscapes®.